Boost your studies with WordDive’s week-planning tool! WordDive allows you to study wherever and whenever you want, for as long as you want at a time. The best results are, of course, achieved with regular and systematic practice. The easiest way to establish an efficient exercise routine is to schedule your time, set clear goals and follow your progress closely. This will also keep your motivation high! 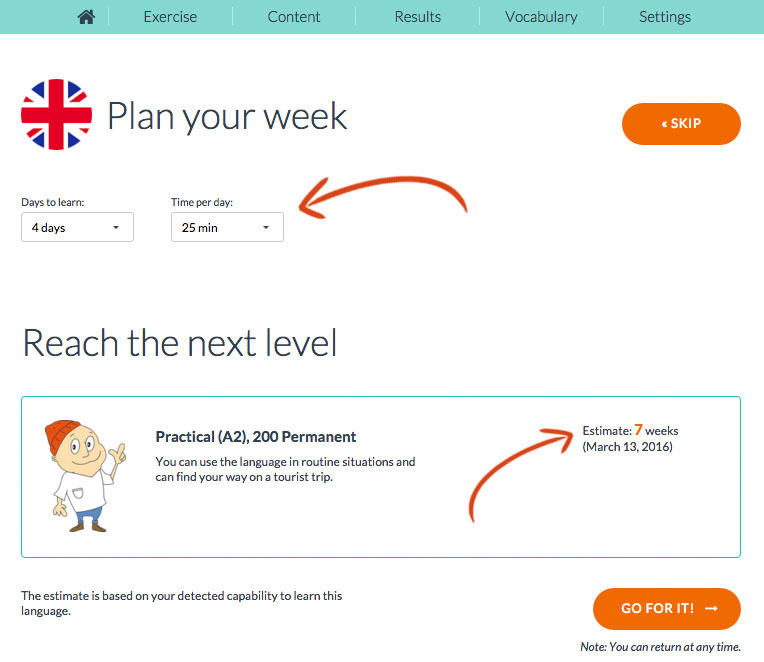 Last month we gave you some tips on how to find time for your language studies, but did you know that WordDive also offers you a handy tool for planning your own exercise schedule? The easy-to-use week-planning tool assists you in finding the optimal studying pace for the goals you’ve set and encourages you to keep up your studies. When you start to study a new language, WordDive will first spend a while getting to know your individual level and learning speed. After practicing a few days, you normally learn your first words permanently, which allows you to access the week-planning tool by clicking the Adjust link in the Overall Progress counter on your Exercise page. Next you should think over how much time you want to dedicate to your language studies every week. Try to create a week plan that is challenging but not too hard to follow in your everyday life. 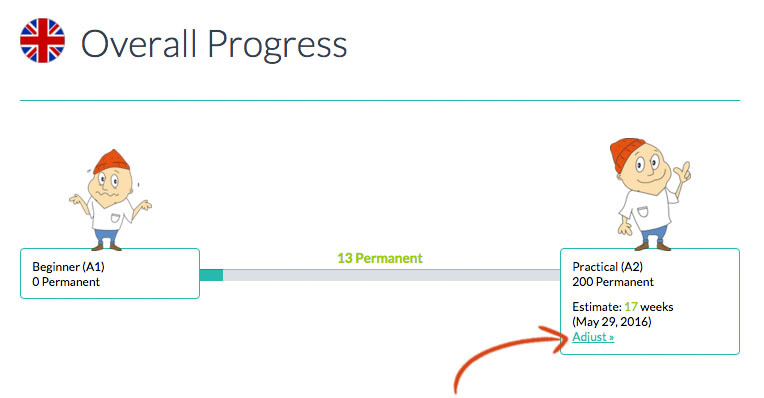 Based on the knowledge that WordDive already has on your personal level, it now gives you an estimate of how many weeks it will take you to reach your next goal. Follow your progress in attaining your weekly target on your personal Exercise page or go to the Settings page to sign up for a free weekly progress report email. Remember that you can go back to change your studying pace at any time to speed things up or slow them down a bit. The more you study, the closer you get to your goals! If you still haven’t tried WordDive’s week-planning tool, do it now, and you’ll be surprised to see the extra boost good study planning and target setting can give to your language studies! Learn how to use the passive voice in Swedish!